Cape Breton trip Pt 3: magic is crowning a shortcake with entirely foraged berries. 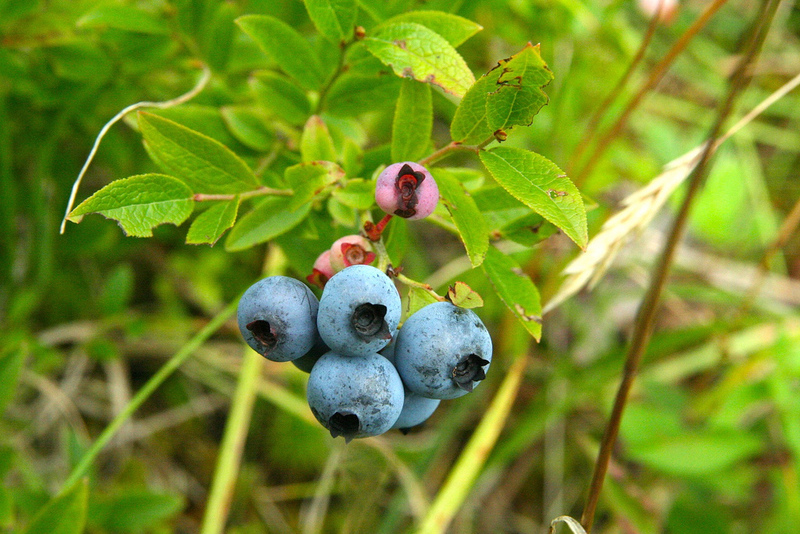 I went berry picking today, and if that’s putting it mildly, you haven’t been berry picking before. At least, when you’re off the grid in the Judique woods and fending off errant wasps and trap-door spiders to get at the luscious midnight-black globules of forest candy you’re after… well, it feels like a bit of a triumph. And moreso when you can use those berries in a hairspin turn just half a day later for a birthday girl who’s letting you stay on her lovely forest property. 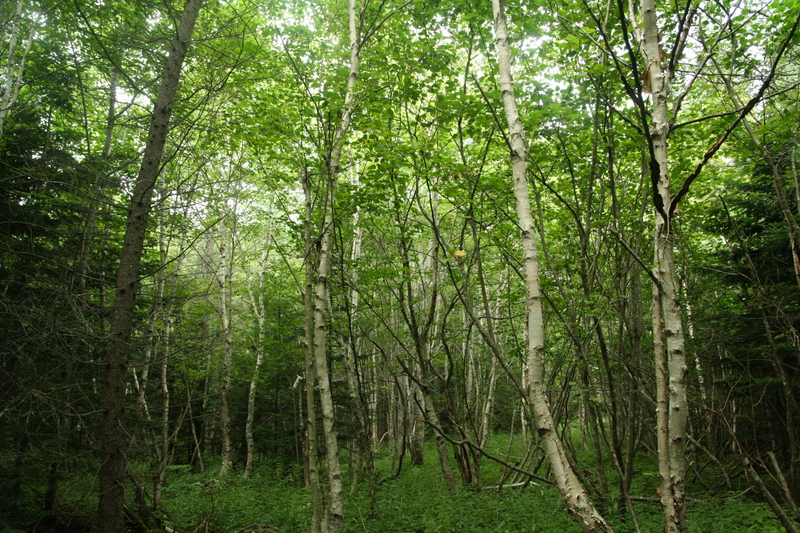 We found them all, man… midst the birch trees and dayglo mosses and thorn bushes. Blackberries, blueberries, rose-raspberries, juniper berries (not featured in the cake, mind you), and I even found a use for these teeny eeny red dots with pasty insides called teaberries. Those got turned into a syrup that justified my forager’s belief in their not immediately apparent deliciousness. A bit of honey and lemon and straining and boiling – and I do mean a bit – turned them into the nicest cake drizzle for a cream cake. So natural and, well, tea-like. I just gotta mention here – this is like, a normal backyard in Judique. Cake itself? A MIX from a BOX. Ah-ha, yes, it was. (Betty Crocker AGAIN, oh my lard). Gluten free constraints and a limited kitchen, plus being a guest, means deferring where it’s appropriate and taking the simple path more often than not. The mix was mostly rice flour, sugar, and xanthan gum as far as I could tell, but if pressed in the future, and with my own pantry at my disposal, I would probably go for an egg white raised hazelnut sponge or something like that. Which isn’t to say that it didn’t play the part of a biscuit rather well. It did. 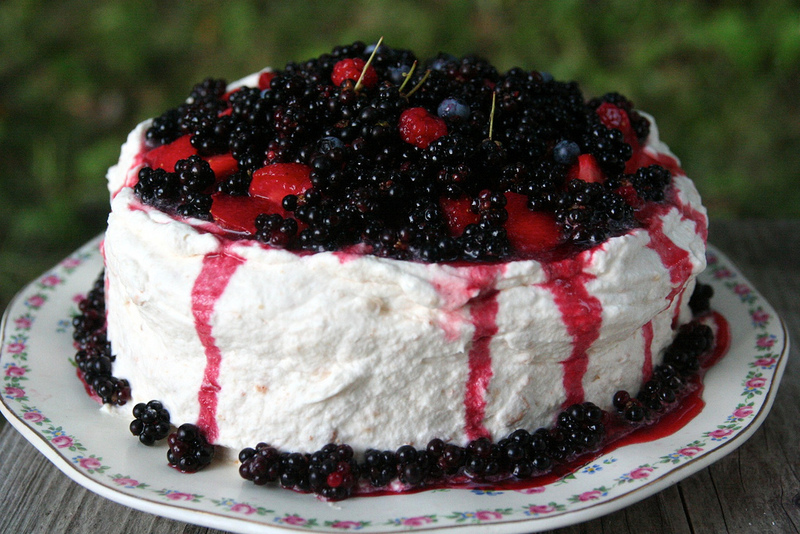 And I trusted that mix to carry the floofy clouds of whipped Breton cream and homemade golden meringue crumbs that I wrapped all around it, .. and the macerated Quebec strawberries, and the forest berries, and the syrup. No probs. It was rather a triumph of theme, and I think it’s becoming apparent that my favourite cake to give to people is a whipped cream and fruit thing. Decadence has it’s place, but if anything’s become my calling card over the years, this is it. Well, that and jammy jars, but that’s another story and another style of fruit obsession…..
Oh yeah. And we found a Millenium Falcon. Cape Breton trip Pt 2: Butterscotch pudding, Hootenany-ing, and the most beautiful beach in the world. 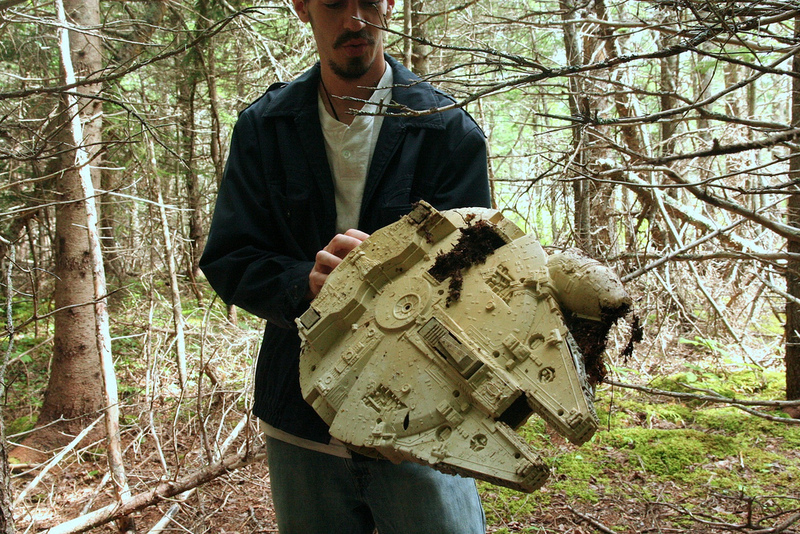 Ahahaha, you foraged a Millennium Falcon! 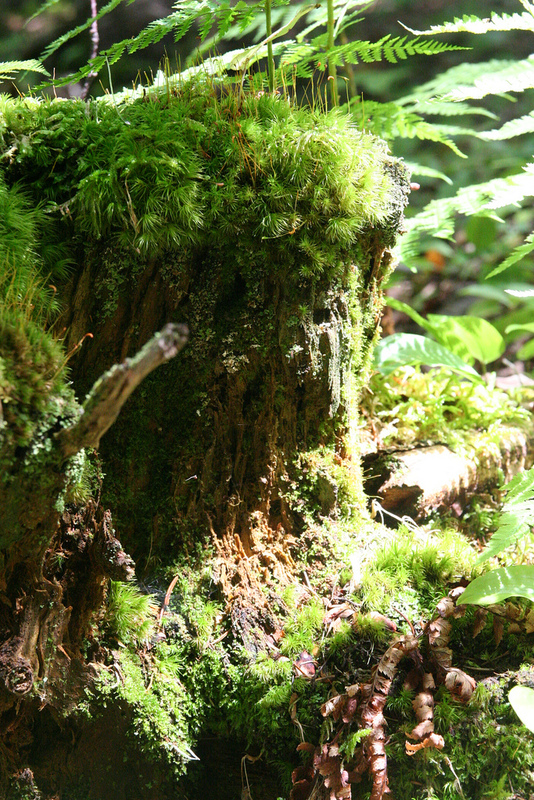 Oh my magical berry forest Scotian goodness–that moss!